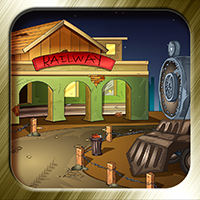 Description: 1986th-The True Criminal – Railway station:In previous game, the evidences that have been detected are all about that unknown miner. The evidences which we detected also shows that this miner is hired by a business man secretly to dig a gold in this old goldmine and also need to find the meeting area minor and the business man. So lets go to the railway station to catch the minor then find the true criminal.